Quite the contrary. 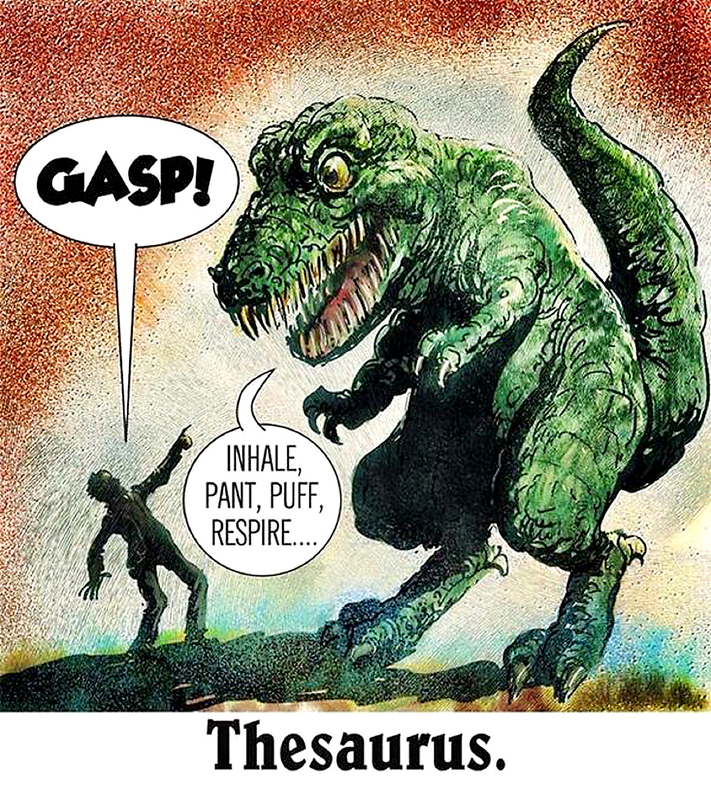 The trusty old thesaurus ¹ is alive and well and a popular fixture on bookshelves the world over. Sadly, the same can’t be said for Peter Roget, creator of this masterwork, he died (perished, croaked, met his maker) in 1869. A compiler, sorter, and compulsive list maker, Roget titled the 1852 edition of his classic reference book Thesaurus of English Words and Phrases Classified and Arranged so as to Facilitate the Expression of Ideas and Assist in Literary Composition. Yikes, well, what can you say? The guy was wordy (long-winded, verbose, a gasbag). 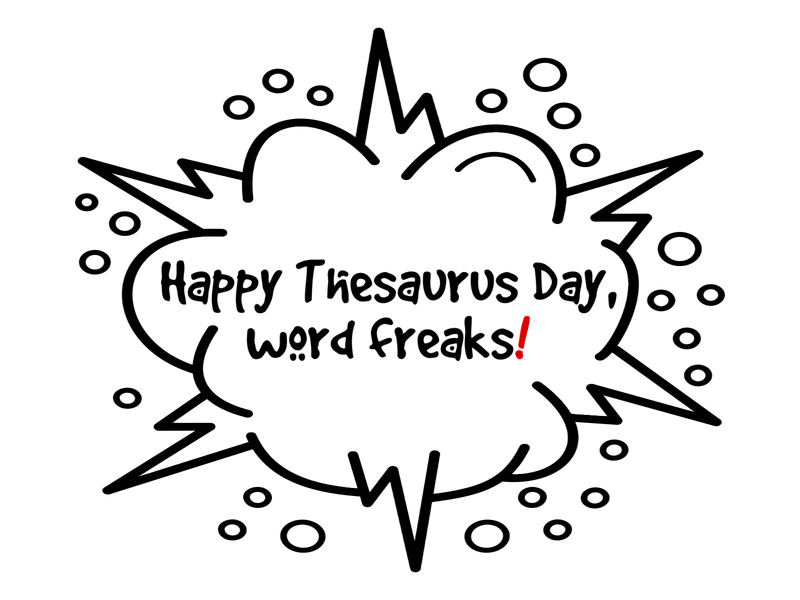 And we celebrate his yattering brilliance yet today, January 18th, known now and forevermore as Thesaurus Day. Get out the pointy party hats, my huckleberry friends, and let’s blow the roof off this dump. 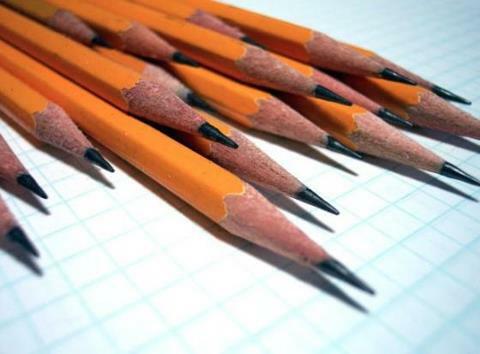 ¹ Yes, in answer to the age-old question, there is a synonym for thesaurus: wordfinder. NOTE: This is a revised and updated reblog from some time ago. I don’t remember exactly when and I’m too lazy to check, so we’ll never know for sure. 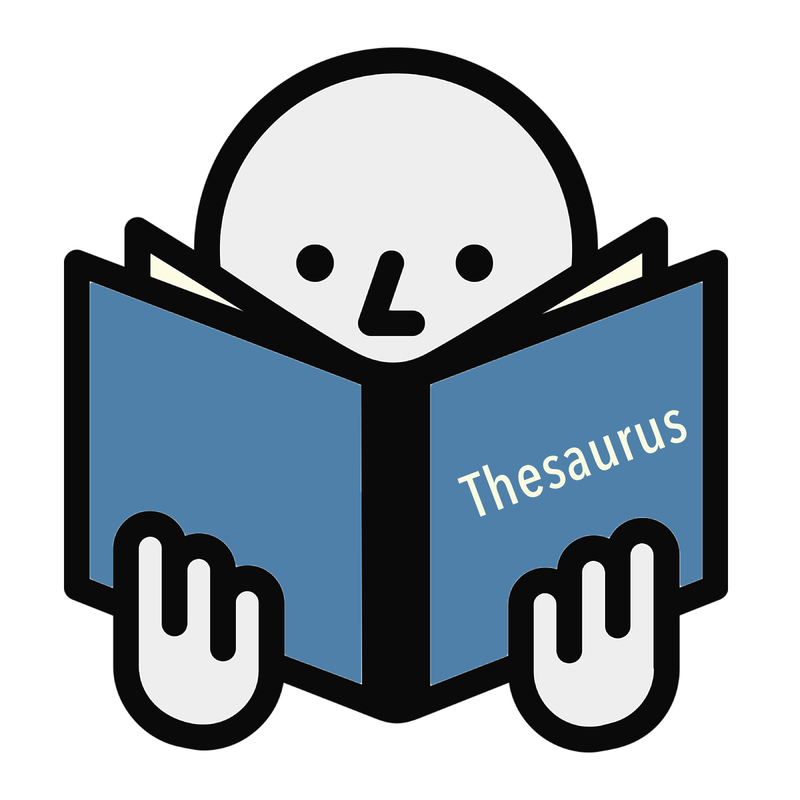 I adore the thesaurus, though, and get trapped in its pages regularly, dashing from word to word to word for hours on end, like a hummingbird on speed. It deserves a day of glory and, as I’ve already alluded, I’m shiftless — a reblog is effortless.